The villa consists of a main house 340m2 and two independent apartments, each are 50m2. The main house has been built upon 3 levels.On the ground floor there is a beautifully furnished open plan living / dining area and a fully equipped modern kitchen. A hall leads to an office, decorated with rare antique furniture, a guest bathroom, and a bedroom with double bed and private bathroom. 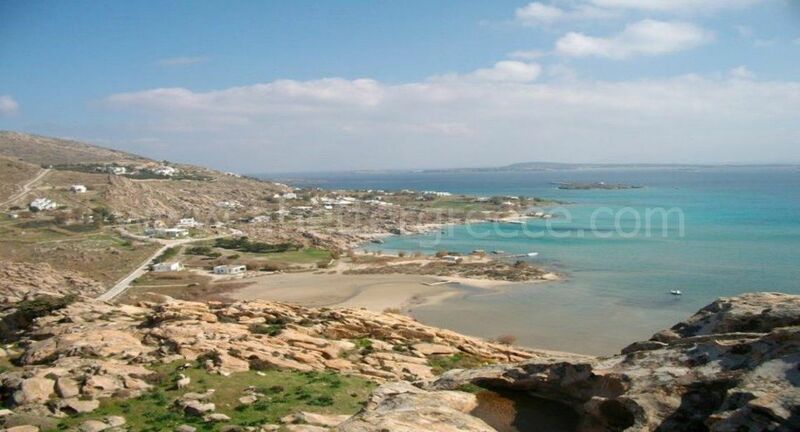 Description of the villasLocated in Parasporos region of Paros island. 2 villas in a quiet area, in front of the sea, with common pool and amazing sea view just 200 meters away from the beach.The villa 1 consists of 4 bedrooms and 3 bathrooms.Sleeps 8-10 people.A villa which is a part of a complex of 6 villas, exactly in front of the sea and the common pool, next to the owners villa. This villa can accommodate 8 guests. 4 bedrooms / 2 bathroomsLAYOUTGround Floor: Arched veranda with dining table and sitting area; Second veranda with pergola and sitting area; Open plan kitchen dining area; Living room with fireplace and dining area; Guest bathroom;Upper level: One king size bedroom. Anemos Villa is a Parian home with Character situated in the country side but also only 150 metres away from the beach of Ambelas.The villa is located in Ambelas on Paros.The house has 2 outdoors large verandas. One pool terrace with private pool, sun beds , dining table with chairs and a day bed under a shaded pergola and a large kedros trees that offer additional natural shade.